Samantha Urban, CEO of Urban Translations, may have been the official champion of the Second Annual Charity Slot Tournament to benefit the Spirit of Sovereignty, but the ultimate winners are the deserving Native American students who will receive tribal college scholarships as a result. 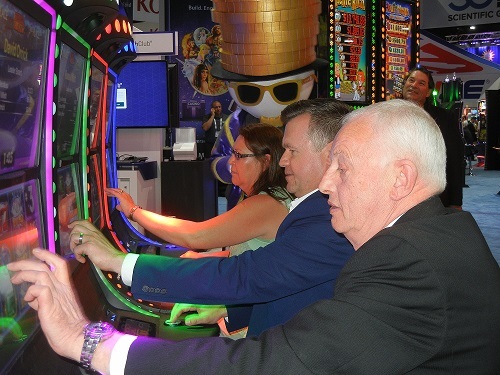 The event was held April 20 during the 2018 Indian Gaming Tradeshow and Convention in Las Vegas. 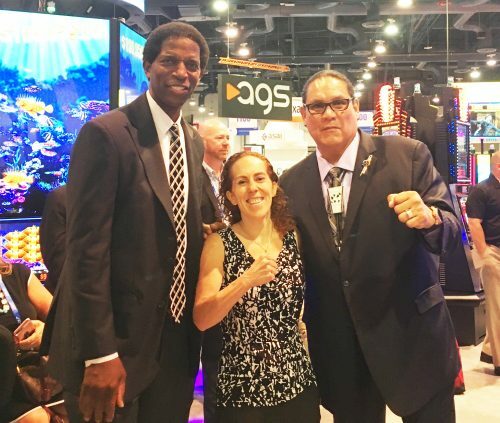 It was hosted by National Indian Gaming Association (NIGA) Chairman Ernie Stevens, Jr. and his special guest, former NBA All-Star A.C. Green in partnership with NIGA associate member Everi. This year’s participants included: NIGA Chairman Ernie Stevens, Jr., and his special guest former NBA All-Star A.C. Green (both sponsored by Klas Robinson); Andrew Cardno, VizExplorer; Duane R. Chapman, Lake of the Torches Resort & Casino (sponsored by TFA Capital Partners); Ed Peters, Everi Holdings; Joe Whitman, Soboba Band of San Luiseno Indians; Kelli Weaver, American Checked (on behalf of sponsor AGEM); Matt Robinson, Klas Robinson; Paul Gordan, Rymax Marketing Services; Rjay Brunkow, Indian Land Capital Company; Russell Witt, Ainsworth Game Technology; Samantha Urban, Urban Translations; Cris Stainbrook, Indian Land Tenure Foundation; David Garelick, Indian Land Tenure Foundation. Additional support was provided by the 29 Palms Band of Mission Indians. 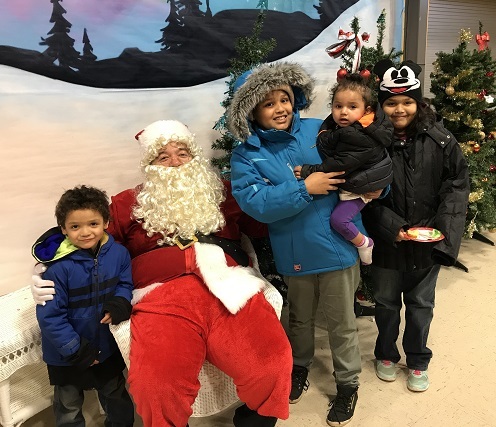 Thanks to the support of generous donors to the Spirit of Sovereignty Native Children’s Holiday Program, more than 1,500 children and teens on the Cheyenne River Reservation in South Dakota received toys and gifts this Christmas. 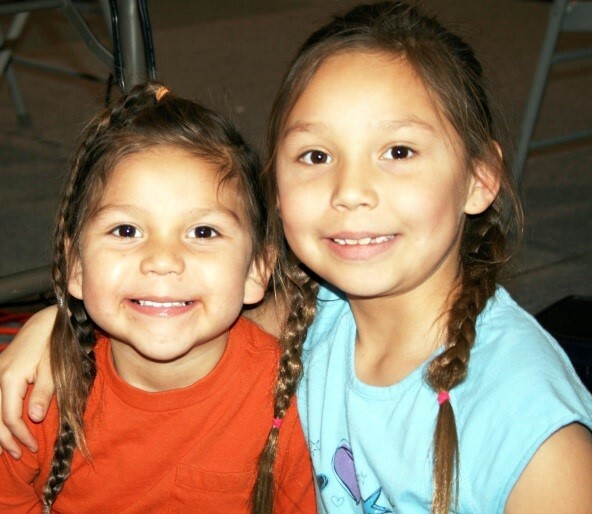 The Spirit of Sovereignty partners with programs working on reservations in the Dakotas, including the Cheyenne River Youth Project’s Annual Christmas Toy Drive, to bring holiday cheer to Indian children and families. Funds raised at the Spirit of Sovereignty Tribal Leaders Charity Slot Tournament in April were put to good use in Southern California this summer at the third annual Native Youth Gathering summer camp. More than 80 kids attended, including 18 from the Soboba Band of Luiseño Indians Summer Youth Academy, which was supported by tournament proceeds. The event was open to students ages 12 to 19, and was coordinated by the Tribal Education Alliance. 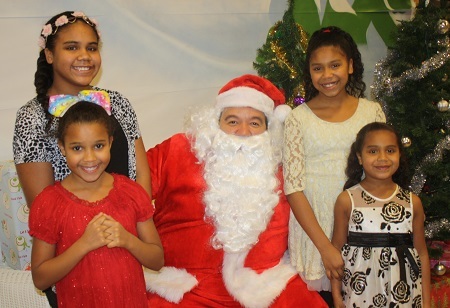 The kids participated in a variety of fun activities while learning about their culture. The Tribal Leaders Charity Slot Tournament Raised $13,000 in 2017. Native American students and youth were the real winners April 13 as participants in the Tribal Leaders Charity Slot Tournament in San Diego raised $13,000 for the Spirit of Sovereignty. National Indian Gaming Association (NIGA) Chairman Ernest Stevens, Jr. hosted the event during the 2017 Indian Gaming Tradeshow and Convention in partnership with NIGA associate member Everi. 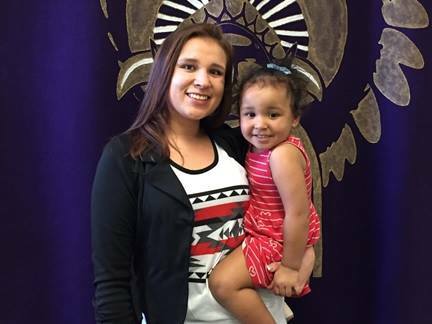 Senior Samantha Milk, a Spirit of Sovereignty scholarship winner in 2016, has been selected as the 2017 Haskell Indian Nations University Student of the Year. Milk, an enrolled member of the Oglala Sioux Tribe in Pine Ridge, S.D. 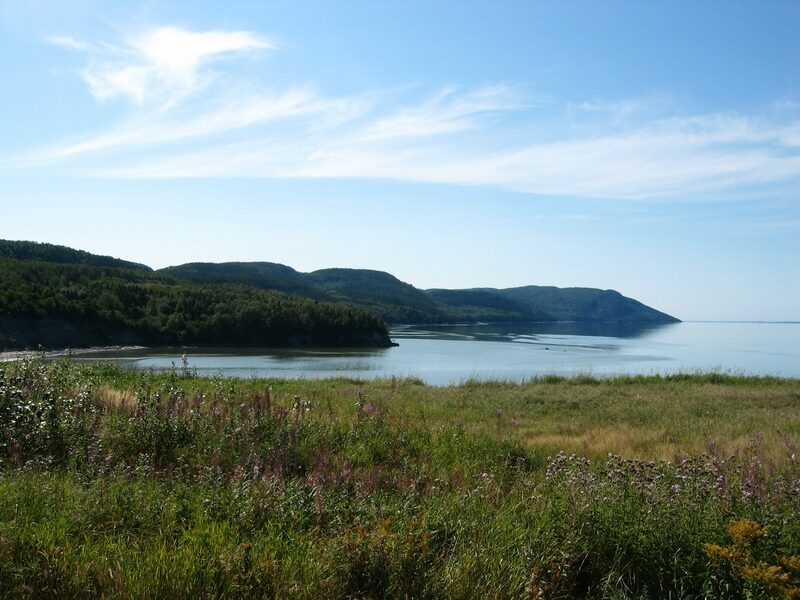 is majoring in Environmental Science. In addition to her excellent academic resume, Milk has participated in numerous clubs and activities on the Haskell campus, including Pte Oyate Club, and coordination of the United States Geological Survey (USGS) Kansas Water Science Center event at Haskell. Samantha was a keynote speaker for “Lawrence Stands with Standing Rock,” and has won many honors, awards and scholarships. Samantha will speak May 19 at Haskell’s commencement ceremony. Read more about Samantha on our Success Stories page. Certain states require written disclosures for nonprofit organizations soliciting contributions. Individual state disclosures are as follows. Florida: A copy of the official registration and financial information may be obtained from the Division of Consumer Services by calling toll-free, within the state, 1-800-435-7352 (800-HELP-FLA), or visiting www.FloridaConsumerHelp.com. Registration does not imply endorsement, approval, or recommendation by the state. Florida Registration #CH21932 Georgia: A full and fair description of our programs and our financial statement summary is available upon request at our office and phone number indicated above. Maryland: For the cost of copies and postage, from the Office of the Secretary of State, State House, Annapolis, MD 21401. Mississippi: The official registration and financial information of ILTF may be obtained from the Mississippi Secretary of State’s office by calling 1-888-236-6167. Registration by the Secretary of State does not imply endorsement. Nevada: Contributions may be tax deductible pursuant to the provisions of sec. 170(c) of the Internal Revenue Code of 1986, 26 U.S.C. ¤170(c). New Jersey: Information filed with the attorney general concerning this charitable solicitation and the percentage of contributions received by the charity during the last reporting period that were dedicated to the charitable purpose may be obtained from the attorney general of the state of New Jersey by calling (973) 504-6215 and is available on the Internet at www.state.nj.us/lps/ca/charfrm.htm. Registration with the attorney general does not imply endorsement. New York: Upon request, from the Attorney General Charities Bureau, 120 Broadway, New York, NY 10271. North Carolina: Financial information about this organization and a copy of its license are available from the State Solicitation Licensing Branch at 1-919-814-5400. The license is not an endorsement by the state. Pennsylvania: The official registration and financial information of ILTF may be obtained from the Pennsylvania Department of State by calling toll-free, within Pennsylvania, 1-800-732-0999. Virginia: From the State Office of Consumer Affairs in the Department of Agriculture and Consumer Affairs, P.O. Box 1163, Richmond, VA 23218. Washington: From the Secretary of State at 1-800-332-4483 or http://www.sos.wa.gov/charities/ West Virginia: West Virginia residents may obtain a summary of the registration and financial documents from the Secretary of State, State Capitol, Charleston, WV 25305. Wisconsin: A financial statement of the charitable organization disclosing assets, liabilities, fund balances, revenue and expenses for the preceding fiscal year will be provided to any person upon request. Registration with a state agency does not constitute or imply endorsement, approval or recommendation by that state.